"Small Vessels in Old Brains: A Pipeline to Dementia"
Small vessel disease is found in deep penetrating arteries in the brains of most older people. Small vessel pathology is the most common underlying cause of vascular cognitive impairment and currently there are no targeted treatments. 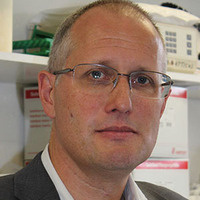 Atticus Hainsworth will talk about studies in large cohorts of human brain tissue, in experimental animals and in a phase II clinical trial of the PDE5 inhibitor tadalafil (NCT02450253). SSRC, The Great Room 130 Flagg Rd.